Spring Break Fine Art Camp!! 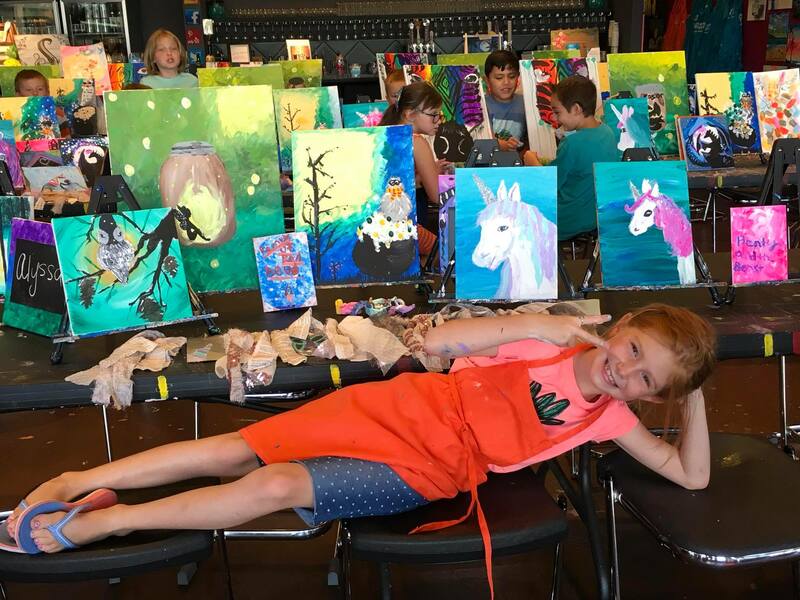 Celebrate ART during the school breaks at Pinot's Palette! Students are encouraged to explore their creativity and develop fine art skills using sculpture, drawing, watercolor, acrylic on canvas, and mixed media. Our camps are the perfect combination of art, fun, music, and instruction in an energizing studio environment. Buy One, Get One 20% off! Use code FUNSUMMER19 at checkout! *The images you see on the calendar (both from events page and when you click into the event) are the main paintings we will be doing that day! There will be other projects that we do as well for added FUN!! (1) 9”x12” sketchbook. This may be purchased at our studio for $10. (2) Pack a snack, lunch, and water bottle. (Please avoid packing anything with NUTS to keep our friends with allergies safe). *Any medical or special needs should be communicated to us in writing before each session. All art supplies are provided except for a sketchbook. Children should bring a sketchbook (9”x12” preferred) or one may be purchased at the Studio for $10. WHAT TIME CAN MY CHILD ARRIVE? Our Studio opens at 8:45 AM SHARP (not any earlier) with each session beginning promptly at 9:00 AM or there is an option for early drop off at 8 am (additional $10/day). Children need to be picked up promptly between 2 and 2:15 PM (there is a $30 fee for late pickup). Emergency, Liability, Photo Waiver & Checkout Form(s) must be completed before the first day of After School Camp sessions (please submit well in advance). Children must be signed both in and out daily. Permission must be given in writing before the start of the session for someone other than the parent or guardian to sign a child in/out. No refunds after May 31st.